‘General Hospital’ Spoilers: Nelle Gets to Michael – Will She Slip With Baby Truth? 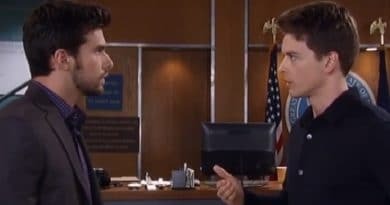 General Hospital spoilers reveal that Michael Corinthos hears from Nelle Hayes. It looks like it’s creeping closer to the big baby reveal! 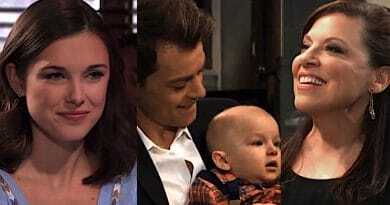 General Hospital spoilers predict Willow Tait (Katelyn MacMullen) may push Michael Corinthos (Chad Duell) away once the baby swap is exposed. 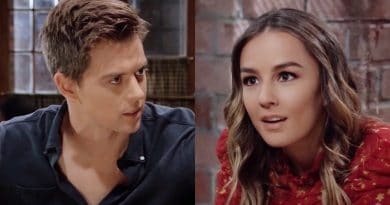 ‘General Hospital’ Spoilers: Michael Corinthos and Willow Tait Figure Out Dead Baby Secret? 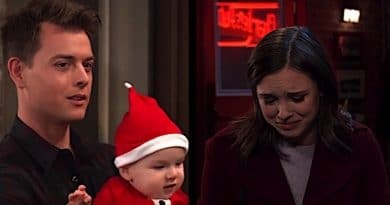 ‘General Hospital’ Spoilers: Baby Jonah Funeral – Buried beside Morgan or in Quartermaine Crypt? 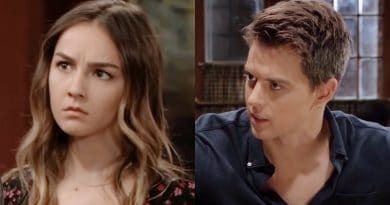 General Hospital spoiler video for the week of July 9 – 13 reveals a week of conflicts and fury with a fit of rage, a wedding, and all the GH embellishments to go along with it. Will Nelle’s twisted ways allow her the last laugh when it comes to this wedding?